There's nothing like a deck. It's a place to hang out with family and friends, share a meal, and enjoy the sunshine. A well designed Colorado home almost always includes outdoor living spaces and beautifully transitions between indoor and outdoor. I've helped a lot of buyers over the years, and I've learned a few things about decks. Here's a couple of things to consider when you're shopping. Colors are cool but they may not go all the way through. I took this photo at my client's new Toll Brothers house at Anthem Ranch in Broomfield. As you can see, the color is just through the first few millimeters. 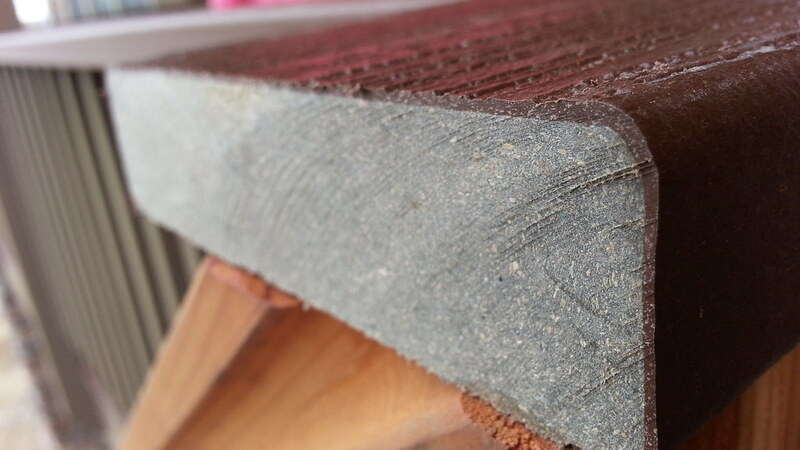 It's highly visible at the end of any boards, such as this railing. No deck is maintenance free. Composites scratch, fade, warp, and get dirty. The major composite manufacturers have been sued multiple times (and settled) over mold issues. Older decks are more prone to the problem. It's unclear whether newer composite will be more mold resistant. Personally, I prefer a traditional wooden deck but the intense Colorado sun makes short work of finishes. Pine, cedar, redwood, and mahogany are options and the higher end you go, typically the lower maintenance required. When it comes time to work on the deck - sanding and refinishing, power tools make short work of decking. It takes much longer for railings and balusters, and the labor cost (or your time) can be very high. Expect to seal and/or stain a wooden deck every three years or so.